As a child in a busy classroom how many times do you hear: “Pay attention,” “Quiet down and listen up,” “I’m not going to tell you again; You should have been listening to the instructions,” “Didn’t you hear me?” Teachers use many different strategies to gain the attention of their students and get them to listen. Some have secret signals, some have warning systems, some use jars of crystals for group positive reinforcement. But has your child’s teacher actually ever taught her class how to listen? Michelle Garcia Winner is very well known for her program Social Thinking and teaching the concept of whole body listening: 1. Eyes are looking 2. Ears are listening 3. Hands are down and still 4. Mouth is Quiet 5. Feet are down and still. Sounds great, doesn’t it? And for many children, it is! 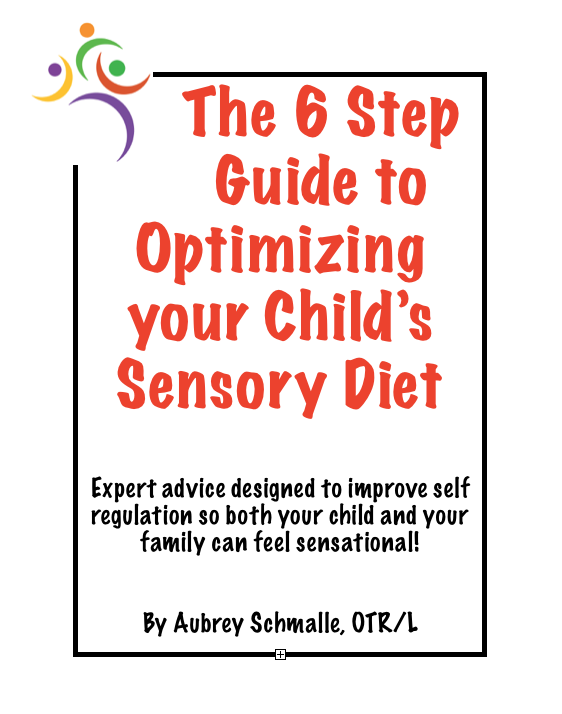 Now ask yourself – As the parent of a child who may not be a “good listener” and who may have diagnoses such as sensory processing disorder, learning, disabilities, ADHD, and Autism, can my child really do all these things at once without help? In a research article titled “Whole Body Listening: Developing Active Auditory Skills,” by Susanne P. Truesdale of Burnt Hills-Balston Lake Central Schools in Scotia, NY states, “When we hear a sound, we use our ears. When we try very hard to listen we need to use more than our ears. We also listen with our brain, eyes, mouth, hands, feet, and even our seat.” Dr. Alfred Tomatis believed listening is an active process involving a cognitive decision to use your hearing for the purposes of learning and communicating. It is the desire to focus on sounds and ignore others. It is closely related to attention. One must have a good “listening attention” in order to learn and process information. As an occupational therapist specializing in sensory integration and certified in multiple auditory programs including the Tomatis Method, Integrated Listening Systems, Therapeutic Listening, and The Listening Program I have had the privilege to work with many children who struggled to integrate information from their body and their environment to be able to demonstrate “good listening” skills. Studies done among children with ADHD show that their cognition is actually inhibited by not moving – So for a child with this profile, keeping his/her hands and feet still while listening actually interferes with how much he/she is able to take in from the lesson. For children with functional visual deficits, trying to keep their “eyes on the speaker” may compete with their ability to listen to what the teacher is saying because of the effort it takes them to use their eyes functionally to take in information from their environment. These children may be laying on the floor but when you ask them a question, it turns out they were listening the whole time! In some cases, because they can’t keep their eyes on the speaker, the visual information completes for their attention and they are truly unable to listen. Children who present with deficits in postural control have difficulty keeping their bodies still when they are unsupported. They spend so much time just trying to find a way to hold their bodies up (leaning, laying, fidgeting, kneeling, walking around….) that they are distracted by their own discomfort as they try to listen to what is being said. It is important to remember that every child presents with a unique sensory profile, requiring different supports to help them actively listen in a classroom setting. For some, it’s a matter of choosing the right seat: Something that provides back and foot support to help a child keep their body stable; A stool that wiggles or bounces to allow for movement to improve listening. For others it’s more complicated – They need exercises that will help their body, eyes, and ears work together. This is where Body Activated Learning exercises can be extremely beneficial to your child’s classroom. Body Activated Learning combines movements to increase/decrease arousal (ENERGIZE OR RESTORE) followed by specific movements to train the senses to work together for learning (ACTIVATE) and an opportunity to recover from skill demands (REGROUP). Learn more about this program developed by the team at Sensational Achievements, LLC by visiting www.bodyactivatedlearning.com. ACTIVATE: SIT UP, LISTEN, ENGAGE(30 seconds): After slowing down the ladder climb, initiate Listening Punches. Sitting/standing tall create a punching sequence, making forced breath sounds with each punch (EX: hee, her, haw). Make sure to alternate arms. REGROUP (30 seconds): Close your eyes, clasp your hands together and stretch your arms forward, taking a deep breath in, hold for 3 seconds, breathe out and relax your muscles. Then clasp your hands behind your back, taking a deep breath in while stretching your arms back, holding for 3 seconds, then breathing out and relaxing your muscles. Repeat this 3 times, keeping your eyes closed and breathing in rhythm.